deserve to be heard about. The Design Files named The Cove Workspace as one of Australia’s best designed co-working spaces. Read more here. Thrilled to be included in the 2018 Eat Drink Design Awards Shortlist! Collectivus has been nominated in Best Cafe Design for Bermuda Cafe. See the full shortlist here. We are excited to appear three times in the 2018 IDEA Awards shortlist. Collectivus has been nominated in the categories of Workplace (Under 1000sqm), Retail & Emerging Designer. View the full shortlist here. Collectivus caught up with Style Magazine to discuss the inspiration & design intent behind Brisbane's coolest new social hub X Cargo. Read more here. Collectivus received GOLD for Optus George Street in 'Flagships & Showrooms' at the 2018 Sydney DRIVENXDESIGN Awards. Indulge Magazine covered the win here. Collectivus recently won Best Retail Design for Optus George Street & Best Commercial Space Design for The Cove Workspace at the 2017/18 ASOFIA Designer Awards in Noumea. Collectivus was featured in Belle Magazine for our work Australian fashion label Aje. Read more here. We are excited to announce that The Cove Workspace has been shortlisted for Workplace Design at the Australian Interior Design Awards. See the full shortlist here. 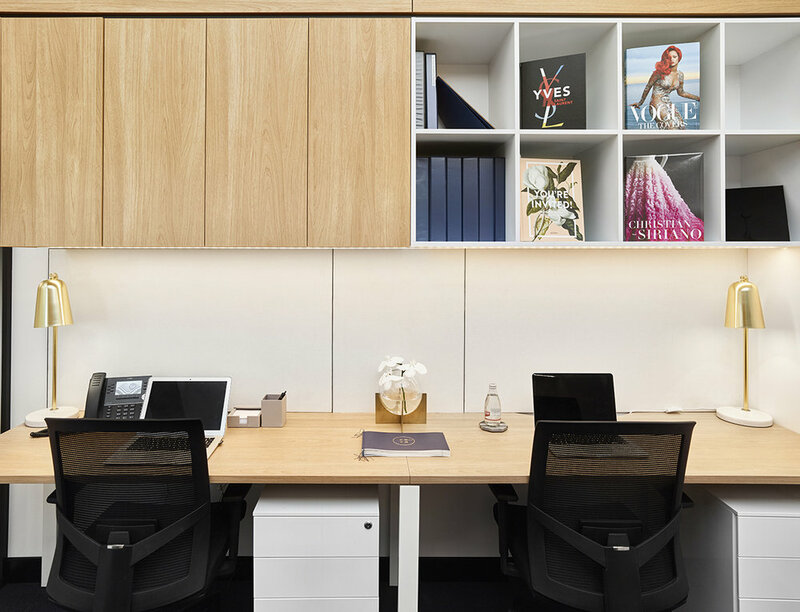 Office Snapshots features one of our recent commercial projects, The Cove Workspace. The article details the design inspiration & process behind the space. Read more here. Located in Joondalup WA, Bermuda cafe offers a unique & contemporary dining experience for students on campus at Edith Cowan University. Read more here. Artichoke features our brand & design concept behind Savour Patisserie in Westfield Chermside. Read more here. Our Director Rachel Herzberg chats with Australian Design Review about the thought process & inspiration behind The Cove Workspace in Brisbane. Read more here. Collectivus has been shortlisted for the 2018 Sydney Design Awards. 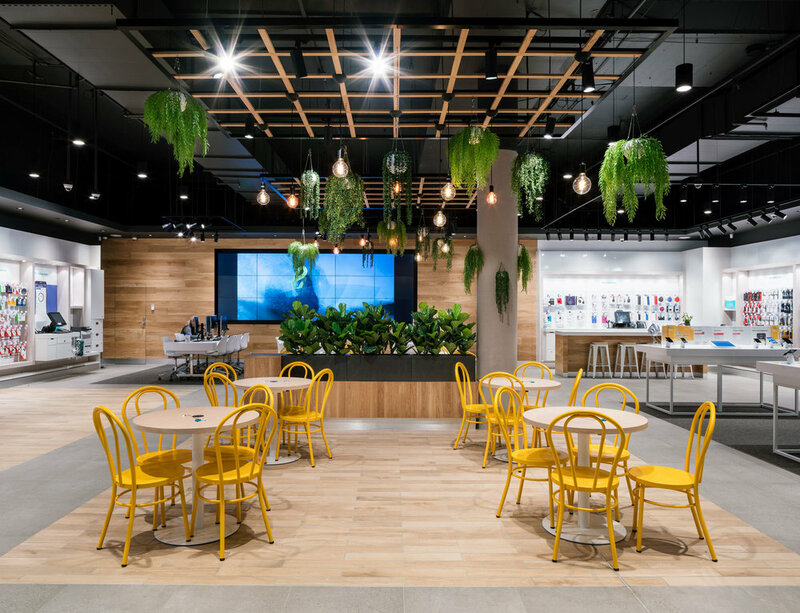 Optus George Street was selected for the category of Interior Design - Retail. View the submission here. A modern warehouse conversion in the creative hub of Newstead in Brisbane, The Cove is a space that fuels collaboration & creativity. Read more here. Optus' first experiential retail store located at Westfield Chermside was recently featured in Digital Signage magazine. Read more here. Comuna Cantina was featured alongside a number of international branding & design projects in Bob Magazine. Read more here. Moss Bros was featured on Vogue Living as a 2017 shortlisted entry for the Eat Drink Design Awards. Read more here. Commercial Real Estate published Suki in the top five 'most striking' spaces in the 2017 Eat Drink Design Awards lineup. Read more here. Art Deco inspired dessert cafe, Moss Bros, was recently featured on Broadsheet Sydney. The luxe interior just acquired a nomination for an Eat Drink Design award. Read more here. Collectivus has been shortlisted across two categories in the 2017 Eat Drink Design Awards. View the full list of shortlisted entrants here. We are excited to announce that Collectivus has been shortlisted for Emerging Designer of the Year at the 2017 Australian Interior Design Awards. BPCS by Collectivus was also shortlisted for best 'Institutional' design. View the full list of shortlisted entrants here. Our Senior Interior Designer, Michelle Khadye, recently spoke with Habitus Living. They chatted all things Moss Bros & the internal design process. Read more here. Indesignlive went behind the scenes of our official launch party. Check out it out here. Our Graphic Design Director, Belinda Affran, sat down with the team at The Design Kids. From what we look for in a graduate designer to who we would love to work with. Read more here. Style Magazines covered the highly anticipated launch of Suki - Brisbane's first Sushi Burrito & Poke bowl concept store. Check it out here. Our fresh and fun fit out for Suki Southbank covered in The West End Magazine. Read more here. Master Tom's vibrant, Californian style was featured among other cool new restaurants in The Weekend Edition's Pavement Whispers. Read it here. The Urban Developer covered 3 of our top projects – Saiko, Moss Bros & BPCS. Read about them here. Habitus Living featured Savour, a bold & vibrant patisserie located in Westfield Chermside. Read more here.